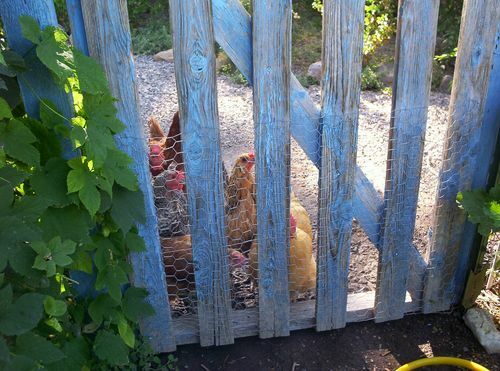 The Kitchen Garden: The Chicken Girls want in! The Chicken Girls really want to get into the Kitchen Garden where they would peck holes in tomatoes, dig holes, and eat the baby lettuce. Later in the season after the harvest is in they will be let in to catch bugs. They are also let in to clean the garden of bugs before the Spring planting.